Rivalling the Hills Hoist, the Harbour Bridge and Melbourne Cup, Dame Edna, Akubra hats, beach cricket & zinc sunscreen or a trip on the Ghan – a farmer’s dog in the back of a ute is as iconically Aussie as Aussie icons get. 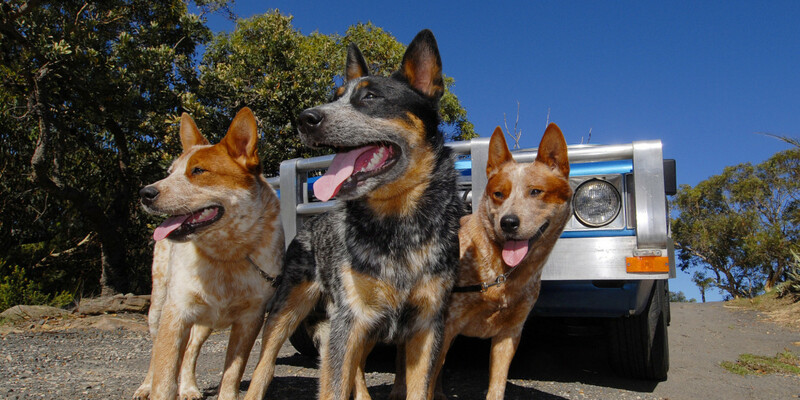 The Blue Heeler and its cousin the Red Heeler, along with Collies and Kelpies have long been the favoured working dogs in cattle and sheep country. These faithful characters, ever eager to please their masters, are a familiar sight out in the paddock, in the back of utes along dusty roads or parked outside the local pub. Appearing friendly enough one might think twice before offering a well-intentioned pat; the ute tray is a territorial space and they in no uncertain terms the master of the tray. With insight into canine personality and a touch of humour, this haiku is an entertaining and lifelike glimpse into rural life and culture.